Are you looking for a high performance shoe that will also suit your lifestyle needs? If you are, then the new edition of the Jordan City Air Max TRK is the one for you! 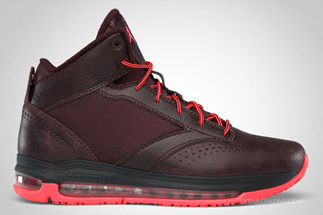 As part of Jordan Brand’s Holiday Collection 2011, the Jordan City Air Max TRK will be coming out in Deep Burgundy/Anthracite – SLR Red anytime this month. Made with performance and trend leathers, the silhouette offers superior protection and top-of-the-line comfort with its full-length Max Air cushioning! Watch out for this silhouette this Holiday Season!